It’s true that no matter who you are, everybody is just a little bit weird and our practically universal love of fantasy and sci-fi programmes and films these days pretty much proves that. From TV programmes like Outlander to Vikings and Doctor Who, to the Big Bang Theory and Stranger Things and of course the mother of all epic fantasy series, Game of Thrones as well film franchises like Harry Potter and Lord of the Rings, it has never been cooler to be a geek. And what better way to show off your love off a fantasy programme or film than with your fashion choices. Thanks to the internet it is now easier than ever to find quirky pieces that will prove your fan-status to the world and particularly with huge franchises like Harry Potter it can be really difficult to know exactly where to start and what to choose. Whether it is for you or for a great gift, the choice is never-ending if you know where to look. And the great thing is that no matter what your budget you can always find something to suit; all of the following pieces we found on eBay, and if you love a bargain, then click on the link to see if you can save when you shop online: https://www.groupon.com.au/vouchers/stores/ebay.com.au Read on to find out our top picks. So the last book and the last film may have been out for pretty much ages now, but our huge love of Harry Potter shows no signs of dying off. 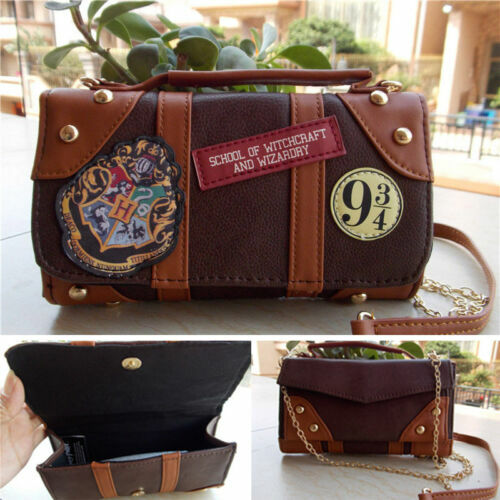 For something subtle and practical we absolutely love this bag which is the epitome of Hogwarts chic which totally should be a thing if it isn’t already! Despite looking like it’s made of dragon’s leather and that you pinched it off a student (probably a Hufflepuff), this bag is surprisingly cheap, costing around $17! So ‘Winter is coming’ has to be the most famous line to have come out of the Game of Thrones series and even non-fans would have had to have been living under a rock to miss this one! 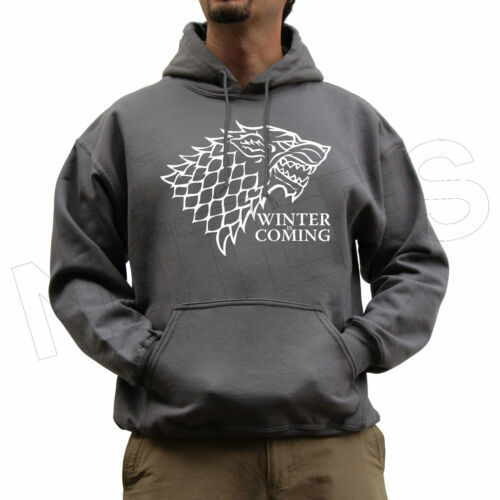 So inevitably this House of Stark jumper with the iconic wolf emblem and the saying is going to be an instant hit with any GoT fan. Available in a wide range of colours from white to black and pretty much everything in between, for a gift you can even pick their favourite colour. The Big Bang Theory has been one of the most popular comedy TV series for a while now, and this American sitcom with its full-fledged geeks is set to remain so. With the painfully nerdy characters and laughs you can find in just a half hour show, The Big Bang Theory has legions of fans throughout the world. So what better way to state your love for the show than with this T-shirt which is reference to the song that Sheldon is always insisting that Penny sings for him. Costing less than $10 and available for both men and women this T-shirt is cute whether you get the reference or not!